A relic of Saint Teresa of Calcutta, formerly known as Mother Teresa, is currently visiting a number of centres throughout Ireland. The Order of Knights of St Columbanus announced recently that the organisation had received the relic from the Sisters of Charity and had arranged for it to tour Ireland to facilitate its veneration. The schedule saw the relic received by Bishop Anthony Farquhar and Fr Eugene O’Neill, Administrator of St Patrick’s on Donegall Street in Belfast, this week. During its time in Belfast, the relic also visited Corpus Christi Church in the Ballymurphy area of west Belfast, where Saint Teresa once worked in the community alongside four other nuns from her Missionaries of Charity order. On Friday 16 June the relic will arrive at St Eugene’s Cathedral, Derry, with Masses at 8.00 am, 10.00 am and 7.30 pm. The following day, the relic will visit St Malachy’s Church, Coleraine, Derry, with Mass on Saturday 17 June at 6.00 pm and on Sunday 18 June at 9.00 am and 11.00 am. The relic will visit Tuam Cathedral from Saturday 24 June to Monday 26 June. From Sunday 16 July to Tuesday 18 July, the relic will visit the archdiocese of Cashel and Emly, and from Friday 28 July to Monday 31 July, it will visit the archdiocese of Dublin. The visit is part of a national tour of the cathedrals of Ireland which will also include Knock Shrine from 30 June to 2 July. Following the tour, the first-class relic will be given a permanent home in the Cathedral of Saint Patrick and Saint Colman in Newry. Born in 1910 in Skopje, Macedonia to Albanian parents, Anjezë Gonxhe Bojaxhiu, later to become known as Mother Teresa, joined the Loreto Order and lived in Ireland until she was sent to India in 1929. 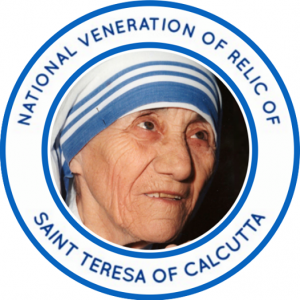 In India she worked with the poorest of the poor, a vocation that led her to found her own order, the Missionaries of Charity in Calcutta (now Kolkata) in 1950. By 2012, that congregation numbered 4,500 sisters, working among the destitute and outcast in 133 countries. She was regarded by many as a saint within her lifetime and Pope (now Saint) John Paul II waived the usual five-year waiting protocol to begin the process of her canonisation. Saint Teresa of Calcutta was canonised on 4 September 2016. A full list of dates and destinations for the relics can be obtained at http://www.newrycathedralparish.org/2017/05/08/visit-of-first-class-relic-of-st-teresa-of-calcutta/.